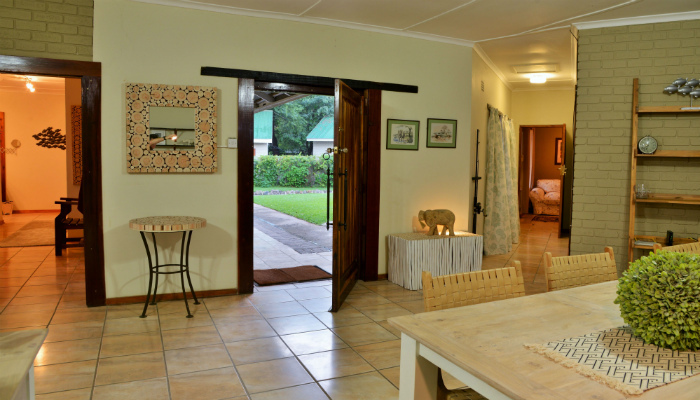 Set within a private area of the lodge, our exceptionally spacious private home is beautifully furnished and offers that true home away from home. 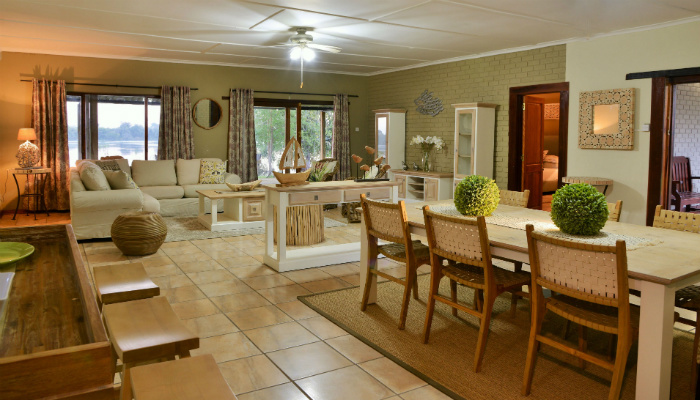 Featuring a very large open-plan living space including lounge, dining area and kitchen, our private home also includes a separate bedroom, en-suite bathroom including both a shower and bath, and a further guest lavatory. 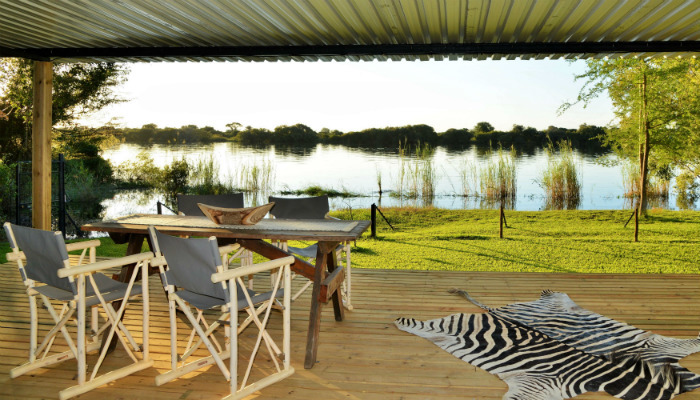 Our private home also comes with the added luxury of a private garden and covered deck overlooking the beautiful Chobe River. 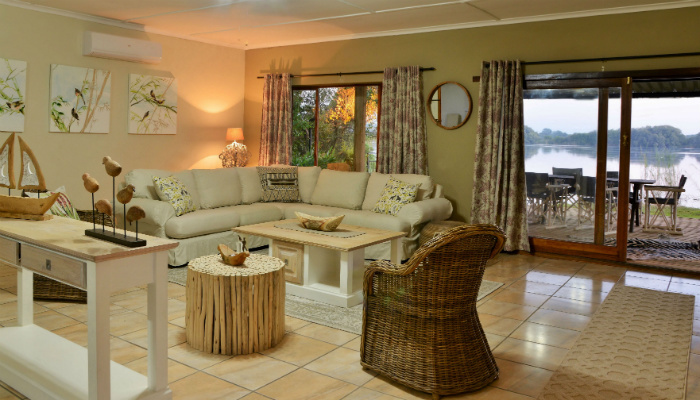 Whether your preference is for full service or self-catering, our private home is unrivalled in its space, comfort and facilities. Outdoor excursions and other services can be booked through the lodge. Should you be interested in staying on a Full Board or Fully Inclusive basis please contact us for a quotation. 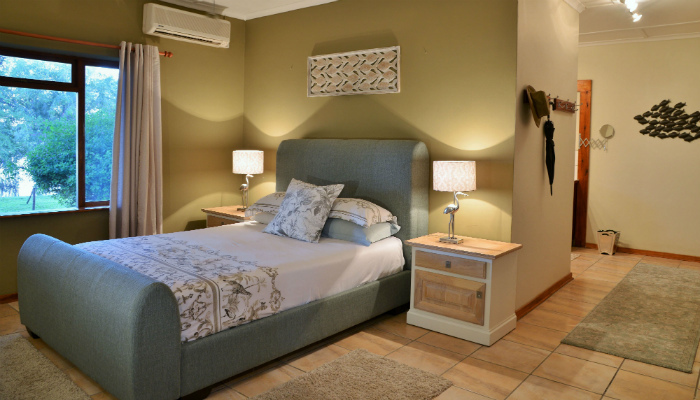 Subject to availability, our private home can also accommodate an additional 2 guests via an inter leading Twin Room for an additional daily fee. 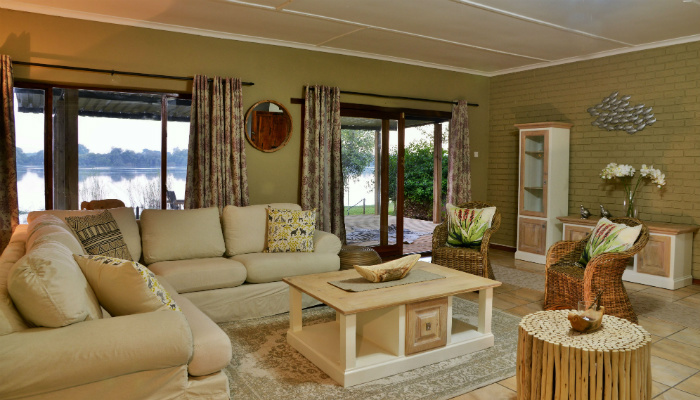 To check availability of our private home as a 2-bedroom unit please email us at info@riverviewlodgechobe.com. Please Note: Our private home is subject to a minimum of 3 nights’ stay. From BWP 4,000 per night including breakfast.